Researchers at the University of Arizona combed through 3.5 million tweets from October 2013 to May 2014 to map out the food people had on their mind the most. 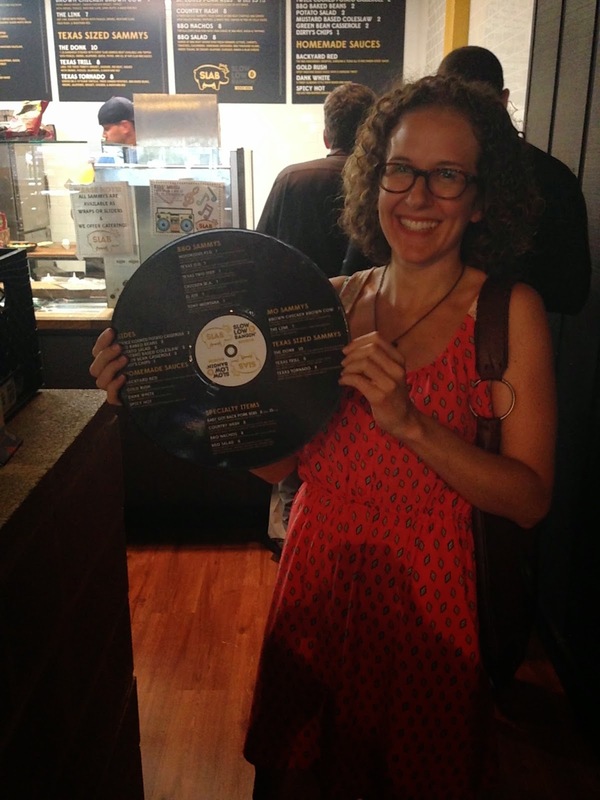 They sorted tweets by the state they were written in, and the verdict: Texans love brisket. Of course, the study had a bigger purpose: researchers found that food language was a big predictor of each state’s obesity rate, diabetes rate, and political leanings. So states who tweeted more about Mexican or fried food were more likely to have a higher rate of diabetes than the national average, and more Republican states tended to have food-related tweets centered on work and home. The researchers also found that people in Dallas (and the South in general) love lunch, and eating out on a porch. Now eating brisket during lunch out on the porch? Sounds like heaven. This week's Cowboys Gameday Giveaway matchup is: New Orleans at Dallas (tomorrow, 7:30 PM Central). The closest prediction wins 2 links of sausage from Lockhart Smokehouse (Dallas, TX)! To enter the contest, submit your prediction (winner, score, total yards) via blog comment, Facebook, Twitter, or email. You have until kickoff to submit your entry, so don't wait! This week's Pizzitola's BBQ Gameday Giveaway matchup is Buffalo at Houston (tomorrow, noon Central). The closest prediction wins a slab of pork ribs from Pizzitola's BBQ! To be eligible to win, I need the following: (1) winner, (2) final score, & (2) total combined yards. You can submit your prediction as a comment below this post, via Facebook, via Twitter, or via email. Your prediction must be received by kickoff, so get on it! This weekend's college Gameday Giveaway matchup is Arkansas vs. Texas A&M, which will be played at AT&T Stadium in Arlington tomorrow at 2:30 PM Central. To be counted, your prediction must include winner, final score, & total yards (total yards is in case of a tie). Any prediction submitted after kickoff will not be accepted. The closest prediction wins either a side of pork ribs or half of a brisket from Snow's BBQ (Lexington, TX)! You can enter your prediction via comment below this post, via email, or you can tweet it to @ManUpTexasBBQ or via Facebook. 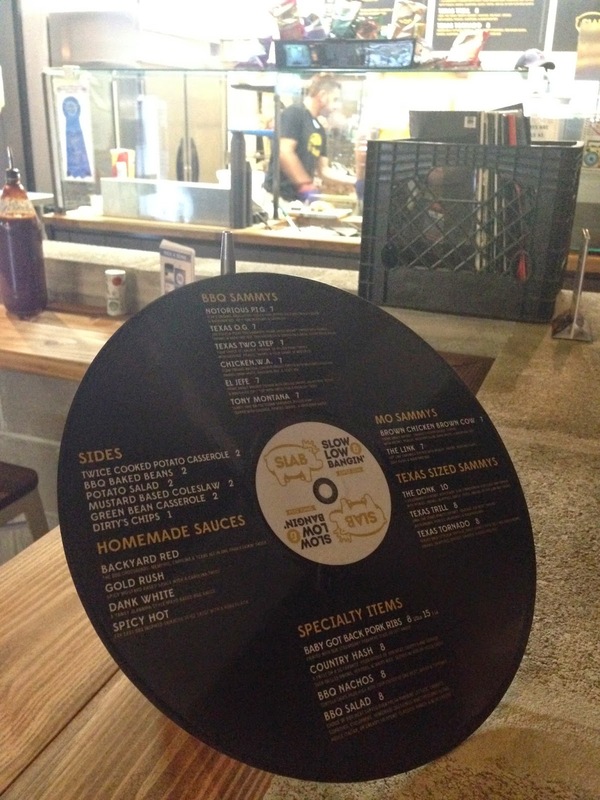 Alamo Ice House BBQ & Brew has grand opening tomorrow in San Antonio. 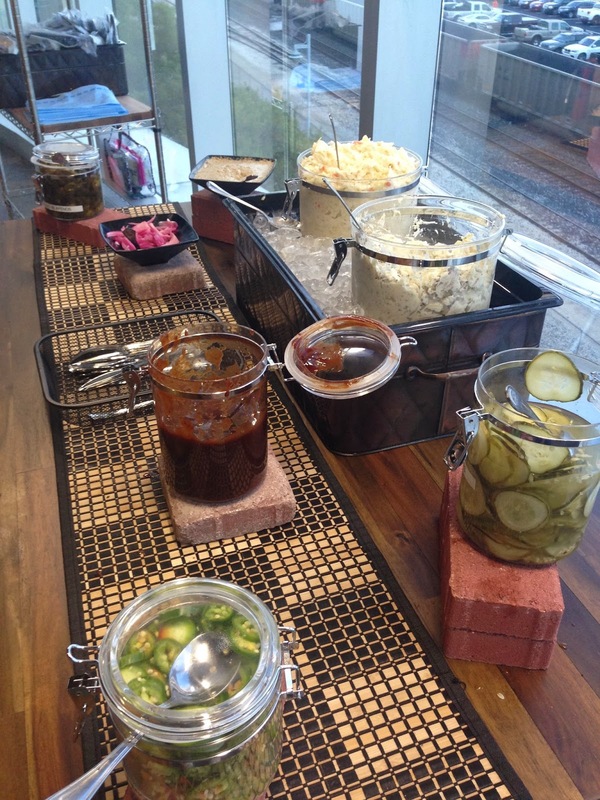 Tomorrow, a new BBQ joint has its grand opening in San Antonio. 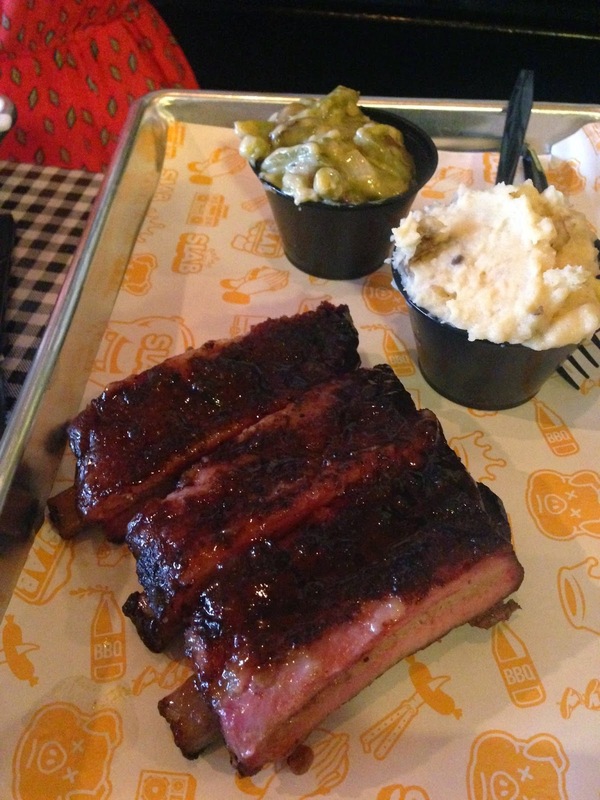 Alamo Ice House BBQ & Brew is located at 802 N. Alamo St. Read about it here. Today is the grand opening of Kent Black's BBQ (San Marcos, TX). The festivities kick off at 10:15 AM. If you happen to make it, send us some pics! 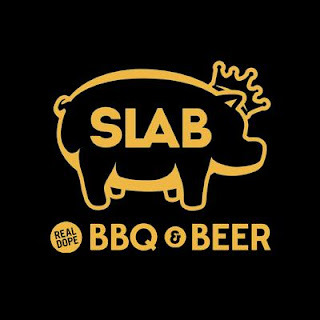 SLAB BBQ at Gettin' Sauced! We're pleased to announce Austin's very own SLAB BBQ will have a booth at this year's 5th annual Gettin' Sauced! festival! SLAB is making a name for itself at its new brick-&-mortar spot in North Austin, and we are so honored they're taking part in our event. Be sure to stop by their booth & sample their fare. Until then, check them out on Facebook and Twitter! What's the best BBQ joint in Caldwell County? Continuing my look at the best BBQ joints in the counties adjacent to Travis County, today's focus is on Caldwell County. Home to Lockhart & Luling, Caldwell County is steeped in rich BBQ history. So many tourists flock to Lockhart & Luling for their world-famous smoked meat. CC is also home to Martindale, Niederwald, & a few other towns. So, of all the BBQ joints in Caldwell County, which is the best? 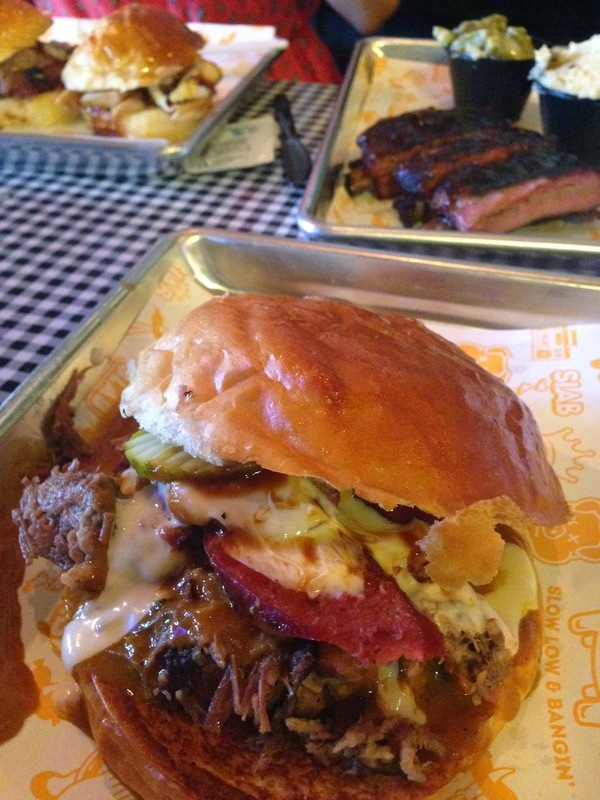 A couple of weeks ago, I paid my first visit to the new brick-&-mortar location of Smoke Shack. 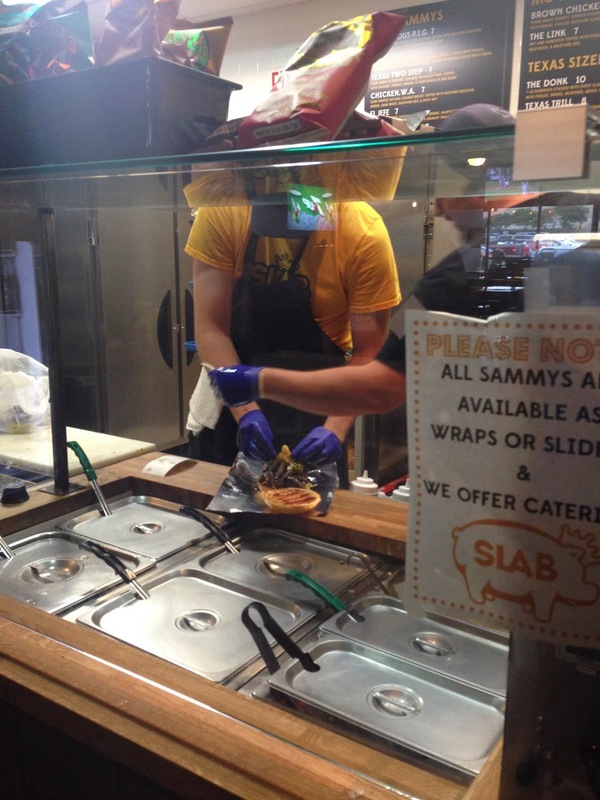 A while back, I took a tour group to their food truck, which is still open for business. We had a brisket grilled cheese, sliders (brisket & pulled pork), fries, corn, macaroni & cheese, and slaw. This week's Pizzitola's BBQ Gameday Giveaway matchup is Houston at New York Giants (today, noon Central). The closest prediction wins a slab of pork ribs from Pizzitola's BBQ! To be eligible to win, I need the following: (1) winner, (2) final score, & (2) total combined yards. You can submit your prediction as a comment below this post, via Facebook, via Twitter, or via email. Your prediction must be received by kickoff, so get on it! This week's Cowboys Gameday Giveaway matchup is: Dallas at St. Louis (today, noon Central). The closest prediction wins 2 links of sausage from Lockhart Smokehouse (Dallas, TX)! To enter the contest, submit your prediction (winner, score, total yards) via blog comment, Facebook, Twitter, or email. You have until kickoff to submit your entry, so don't wait! The game for this weekend's college Gameday Giveaway is tomorrow's Clemson at Florida State (7:00 PM Central). This week's prize is a Pitmaster Combo (4 bottles of sauce & 1 bottle of rub) from Black's Barbecue (Lockhart, TX). To enter your prediction (winner, final score, & total yards - total yards is in case of a tie), submit it by kickoff. Any prediction submitted after kickoff will not be accepted. You can enter your prediction via comment below this post, via email, or you can tweet it to @ManUpTexasBBQ or via Facebook. A couple of weeks ago, I attended the Arizona-UTSA football game at the Alamodome. Sitting in the box level has its privileges, such as access to brisket & pulled pork. Snagged a sandwich of each. Texas Irons is sponsoring Gettin' Sauced! We're excited to announce Texas Irons is the latest sponsor of our 5th annual Gettin' Sauced! Texas Irons makes unique gifts for outdoor cooking/grilling, including their popular personalized branding irons. Speaking of which, Texas Irons has donated 3 branding irons, customized with our Gettin' Sauced! logo, for door prizes. In addition, each of the winners of this year's Gettin' Sauced! Bottled Contest and the winner of the People's Choice Contest will take home a Texas Irons gift set (including the aforementioned GS branding iron)! Texas Irons will have a booth at this year's festival, so make plans to stop by and learn all about them. In the meantime, check them out on Facebook & Twitter! "I had her custom made for me by David Klose and his shop, in Houston, about a year ago (Sept. 2013)--she was custom made according to my specs. Her firebox is 1/2" steel, she has 4 row pull out racks, a full size log rack, a 2" brass ball valve (for clean out), etc, etc.. Business has gotten BIG and I need a LARGER rig. If you or anyone you know may want a great rig for competition, business or personal use, this IS the rig to get, as Klose rigs are 2nd to none! Just read that Mad Jack's BBQ Shack has decided to leave Lockhart, in response to City of Lockhart regulations. The owner says he will continue the business but just not in Lockhart. Read all about it here. Where should the joint set up shop next? Texas Monthly BBQ Festival today! As I'm sure most of you know, the 5th annual Texas Monthly BBQ Festival is today! If you're one of the lucky ones who has a ticket, I'd love to know which BBQ joint(s) you're most looking forward to trying. Which one or two or three are at the top of your hit list? This week's Pizzitola's BBQ Gameday Giveaway matchup is Houston at Oakland, 3:25 PM Central. The closest prediction wins a slab of pork ribs from Pizzitola's BBQ! To be eligible to win, I need the following: (1) winner, (2) final score, & (2) total combined yards. You can submit your prediction as a comment below this post, via Facebook, via Twitter, or via email. Your prediction must be received by kickoff, so get on it! This week's Cowboys Gameday Giveaway matchup is: Dallas at Tennessee (Sunday, noon Central). The closest prediction wins 2 links of sausage from Lockhart Smokehouse (Dallas, TX)! To enter the contest, submit your prediction (winner, score, total yards) via blog comment, Facebook, Twitter, or email. You have until kickoff to submit your entry, so don't wait! The game for this weekend's college Gameday Giveaway is tomorrow's UCLA-Texas (7:00 PM Central, Arlington, TX). This week's prize is a large t-shirt from Hays County Bar-B-Que (San Marcos, TX). To enter your prediction (winner, final score, & total yards - total yards is in case of a tie), submit it by kickoff. Any prediction submitted after kickoff will not be accepted. You can enter your prediction (winner & final score) via comment below this post, via email, or you can tweet it to @ManUpTexasBBQ or via Facebook. Curly's Carolina, TX (Round Rock, TX) is closing. I'm sorry to report Curly's Carolina, TX is shutting down. Sunday is its last day. I hate to see any BBQ joint close, especially when it's run by such a great person. I wish Jay and all of the Curly's family nothing but success in the future. A couple of weeks ago, Brad and I had a long-overdue lunch with our friend and Statesman food writer Addie Broyles. 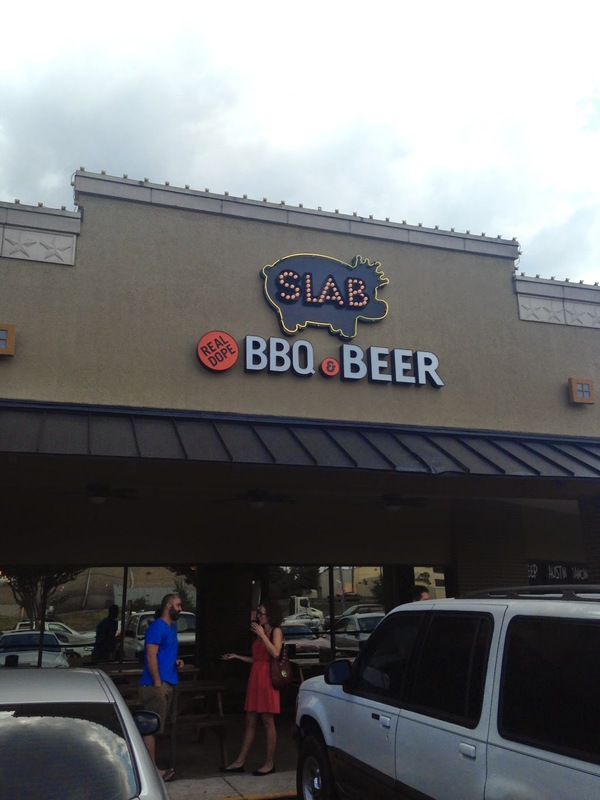 We dined at SLAB BBQ, and it was the first visit there for each of us. 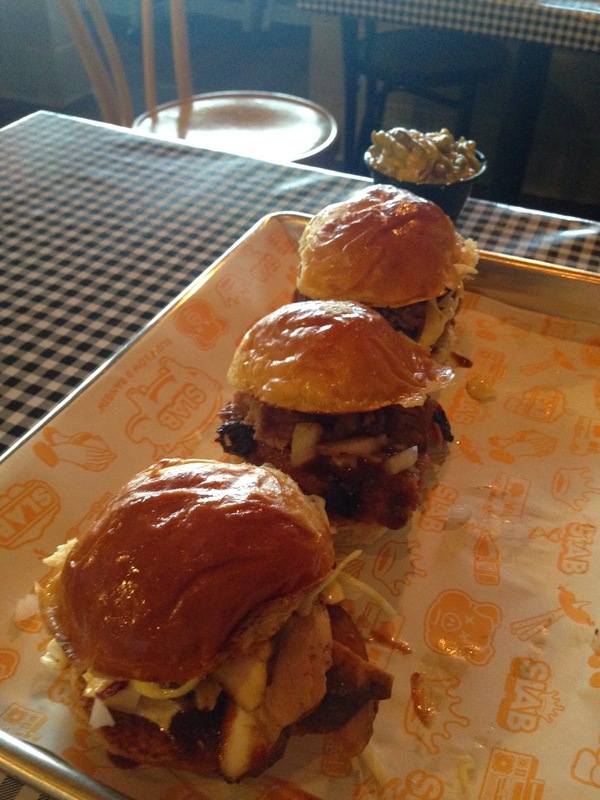 Sliders, The Tony Montana, pork ribs, The Country Hash, green-bean casserole, and twice-baked potatoes. What is the best BBQ joint in Bastrop County? Continuing our discussion of the best BBQ joint in each county adjacent to Travis County, I turn today to Bastrop County, home of Bastrop, Elgin, Smithville, and other communities. Of all the BBQ joints in Bastrop County, which is the best? I went to a birthday party Friday night in San Antonio & a work party yesterday afternoon in Austin. At both, there was (at least some of) a whole brisket from Franklin BBQ. Both were purchased Friday morning. Yesterday, I announced Week 1's Dallas Cowboys Gameday Giveaway. Today, the Houston Texans! The person who submits the closest prediction for tomorrow's Texans game (Washington at Houston, noon Central) wins a slab of pork ribs from Pizzitola's BBQ! To be eligible to win, I need the following: (1) winner, (2) final score, & (2) total combined yards. You can submit your prediction as a comment below this post, via Facebook, via Twitter, or via email. Your prediction must be received by kickoff. The game for this weekend's college Gameday Giveaway is BYU at Texas (6:30 PM Central). This week's prize is a whole, vacuum-sealed brisket from Louie Mueller Barbecue (Taylor, TX)! That's about a $110-120 retail value, folks. To enter your prediction (winner & final score), submit it by kickoff. Any prediction submitted after kickoff will not be accepted. You can enter your prediction (winner & final score) via comment below this post, via email, or you can tweet it to @ManUpTexasBBQ or enter it below this Facebook post. Last year, I teamed up with BBQ joints in Dallas & Houston to bring you a Gameday Giveaway for each Cowboys game and each Texans game. This year, I'm so fortunate to team up with the same joints for another season of giveaways! Each Cowboys game, I'll give away 2 links of sausage from Lockhart Smokehouse; and for each Texans game, I'll give away a slab of pork ribs from Pizzitola's BBQ! Huge thanks to Lockhart Smokehouse & Pizzitola's for their generosity! Without further ado, this week's Cowboys matchup is: San Francisco at Dallas (Sunday, 3:25 PM Central). What is the best BBQ joint in Williamson County? Yesterday, I posted the first of several QOTDs about BBQ in the counties adjacent to Travis County. I started with Burnet County. Today, Williamson County, home of Cedar Park, Georgetown, Round Rock, Taylor, and many other towns. 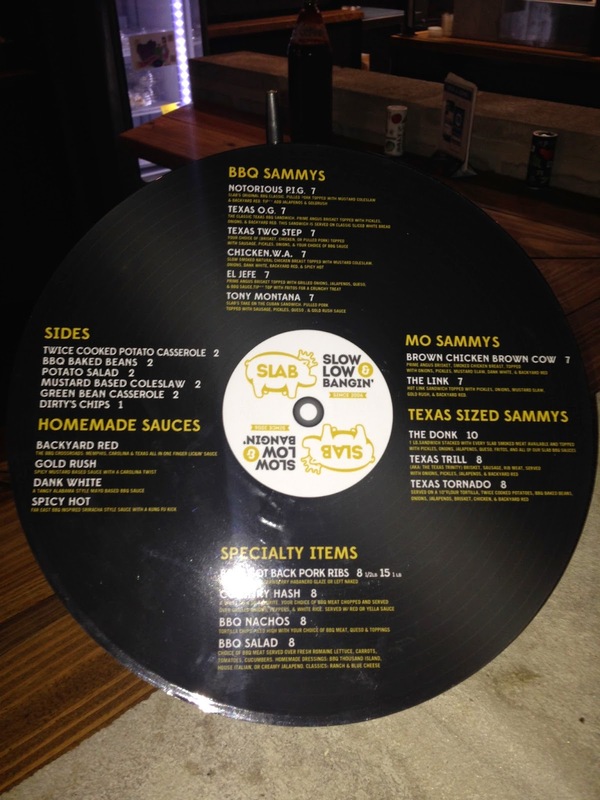 Of all of the BBQ joints in Williamson County, which is the best? What is the best BBQ joint in Burnet County? Austin has phenomenal BBQ. We know that. There is no shortage of coverage of it. But the counties surrounding Austin are home to some awesome BBQ, too. I'd like to get your opinion on the best BBQ joints in the counties adjacent to Travis County. I'll start with Burnet County, home of the towns of Bertram, Burnet, Marble Falls, Spicewood, & others. Of all the BBQ joints in Burnet County, which is the best? Saturday morning, en route to my first trip to Lake LBJ (to watch college football games all day), I stopped at Opie's Barbecue and got some food to go. Half chicken, pork chop, brisket (fatty & lean), sweet-and-spicy baby back pork ribs, carrot cake, & a brownie.